Dress for Success Toronto has overflowing clothing racks. Join us on Tuesday and shop till you drop! 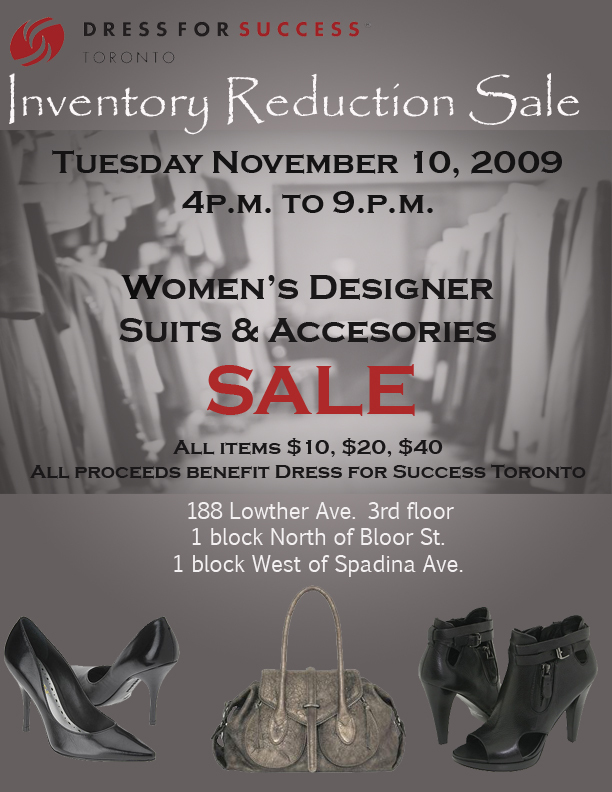 Dress for Success Toronto is a registered Canadian Charity that changes the lives of Canadians and New Canadians by providing low income women with the necessary professional attire and career development tools they need to achieve success. Our unique wardrobe service helps clients look impressive, feel confident, and find employment.